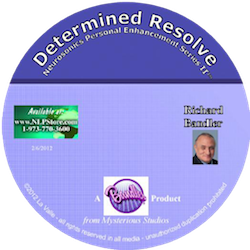 This is a fairy tale written by Richard Bandler that is also available now on CD, narrated by Harry Nichols. 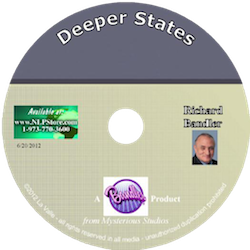 Go into deeper states of consciousness, deeper than meditation or relaxation, maybe even deeper than the deepest state you have already entered if you practice self hypnosis. Learn something so important it might stay with you for the rest of your life, each time you go into a deep state you open a pin hole straight into the face of the divine. Its Time for something a little different. Neurosonic Personal Enhancement Series number Two. Learn Consciously and Unconsciously to make the changes that will be pervasive in all areas of your life. Be a force to become reckoned with. When you line up those two up states and drive them in the same direction, driven towards success. Its time to learn how to make those changes so that they stay with you for the rest of your life. Get Some Motivation to Finish Things Up!! 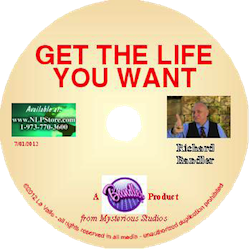 This is a CD that has two distinct tracks, one is for your conscious mind and one is for the unconscious mind. 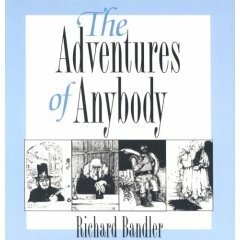 Dr. Bandler is usually teaching at both levels and weaves the magic of his language in ways that heal, teach, and tickle your funny bone. This is a different approach to his usual weavings in that he makes it quite clear which parts are which. This is a great way for those of you who are training in NLP to begin to get some hints in tracking the patterns of how he does each. And of course how the other is still there underneath it all. The subject is the same as the book Get the Life You Want. To learn how to feel good for no reason at all, to enjoy life, rid your life of fears and Get the Life You Want! Be a sharper thinker in the years to come and learn the quickest way to make your mind click.